ANAIS NIN was born in France, although when she was eleven her father, a Catalan composer, deserted the family and her Danish mother took the three children to America – it was on the boat across that Anaïs first started keeping her journal, which was finally published in ten volumes in 1966, and has become her most widely read work. Each one has its own structure and was obviously meant for pubic perusal at some time. She dropped out of school when she was sixteen and became a model and dancer, and at twenty returned to Europe. Nin became a follower of psychoanalysis, and was a patient of Carl Jung for a time. In 1923 she married Hugo Guiler, a banker and, later, avant-garde filmmaker, and they became familiar with the Left Bank in Paris. With war imminent they returned to America, where she continued writing. Whilst the couple were great friends, her voracious sexual appetite separated them – her partners during her life were legion. Henry Miller became one of her lovers, and it was her money that enabled the publication of his first major work, Tropic of Cancer. Nin appeared to blur the line regarding gender, and when introduced in 1931 to June, Henry Miller’s second wife, according to her diary they fell completely under each other’s spell. What really happened is hazy, as it is thought by some that her diary entries are a little cloudy. However, it was all too much for Henry who finally divorced June. Nin entered into a second, bigamous marriage to Rupert Pole in California, but later, as she became more of a popular figure, had the marriage annulled. She was still living with Pole at the time of her death in 1977, and he saw to the publication of a new edition of her diaries, unexpurgated. The Delta of Venus and Little Birds, originally written in the 1940s, were also published after her death. Some women who had praised her free lifestyle became less enthusiastic when they learned that Nin was constantly surrounded by men who often supported her. 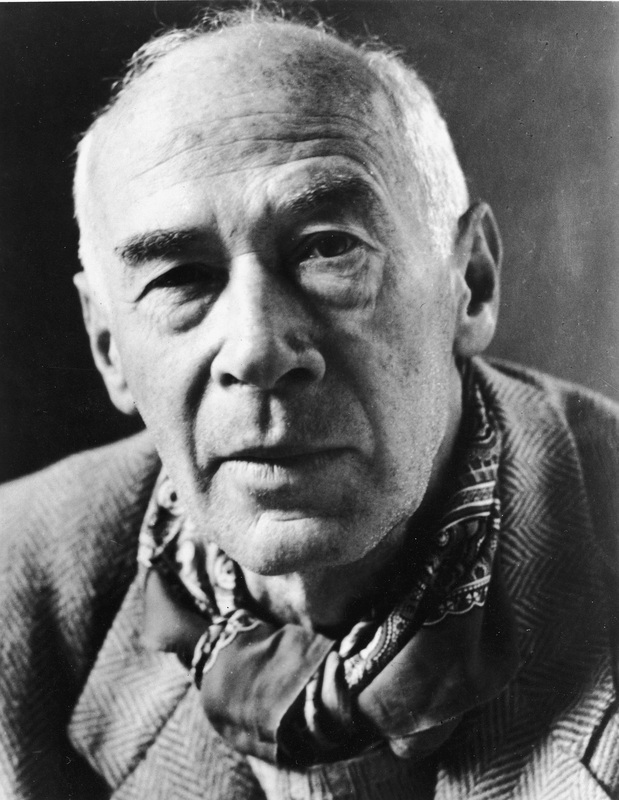 HENRY MILLER was born in Manhattan, New York, son of a tailor of German Catholic origin in 1891. Although a brilliant scholar with exceptional intellect, by the time he was eighteen his restlessness and rebelliousness could no longer stand the confines of traditional education. After two months at the City College of New York he quit, and for the next fifteen years tried various temporary jobs: working for a cement company, sorting mail for the Post Office and assisting his father in his tailoring shop – where he learned and retained the delights of sartorial elegance. In 1917 Miller met and married Beatrice Wickens, the first of five wives, with whom he had one daughter, Barbara. By 1924 he had divorced Beatrice and married June Smith, a dancer, and plunged both of them into extreme poverty by devoting himself to writing – alleviated only by door-to-door selling and begging. In 1928 they spent some months in Paris, but marital differences prompted Henry to return to Paris alone in 1930. In the autumn of 1931, thanks to his friend Alfred Perlès, he became a part-time proofreader. That and the support of friends, including his long term lover Anaïs Nin, enabled him to write Tropic of Cancer, publication of which was paid for by Nin. It was a highly creative time for Miller, and he made many influential friends, including the young Lawrence Durrell. Theirs was a friendship that lasted for the rest of their lives, and their many letters were later published. Miller’s works were banned in the United States, as his writing of sexual experience was very detailed, but he managed to have Tropic of Cancer, Black Spring (1936) and Tropic of Capricorn (1939) smuggled back home, making him a cult figure, although it was to be thirty years before the barriers were broken down and publication was allowed. He spent a light-hearted time in Greece with Durrell, during which time he wrote The Colossus of Maroussi. A reviewer said “the book is a love letter to Greece;”it is not just a travel book, but an affectionate description of landscape, people and history. He returned home in 1940 at the outbreak of war and settled in Big Sur, California, a place of awesome beauty and, to his eyes, heaven on earth. In Big Sur he continued to write raw and vivid works, usually based on his own experiences. Miller wrote Big Sur and the Oranges of Hieronymus Bosch in 1958. The book contained little narrative, and is a collection of thoughts and a description of the small community. It did him little favour, as it brought so much publicity and so many visitors to Big Sur that Miller eventually retired to Pacific Palisades in Southern California. He still wrote, but his life was becoming filled with the other passion that had filled his soul: painting. Enthralled in the 1920s when he saw Turner displayed in a gallery window, a friend loaned him brushes and urged him to try; it was a relaxation for him over the years, and he wrote books about his work: To Paint Is to Love Again in 1960, and Watercolors, Drawings, and in 1962 The Angel Is My Watermark. In 1961 The Tropic of Cancer was published which prompted an obscenity trial, ony to be declared in 1964 to be a work of literature. In 1965, he married his fifth wife, a Japanese jazz singer. Miller died in Pacific Palisades in 1980 at the age of eighty-eight, and his ashes were scattered at Big Sur. Opinions are divided as to his reputation. To some he was a much-loved figure, to others a pedlar of filth. The Colossus of Maroussi Miller captures the spirit and warmth of the resilient Greek people in this tale of a wartime journey from Athens to Crete, Corfu and Delphi with his friend Lawrence Durrell. This entry was posted on 23rd February 2015 by admin in Anais Nin, books, Henry Miller, literature and tagged Anais Nin, books, Henry Miller, literature.